A Tale of Two Brunches | Come Due Maiali / "Like Two Pigs"
I am not a brunch person. Given a choice, I do not “do” brunch, as I cannot understand why anyone should take two perfectly good meals (breakfast and lunch) and combine them into one. However, I do like the savory/sweet aspect, as well as the longer serving hours. At the end of the day, we need to eat when we get to Manhattan; so if they want to call it “brunch”, it is fine with me. 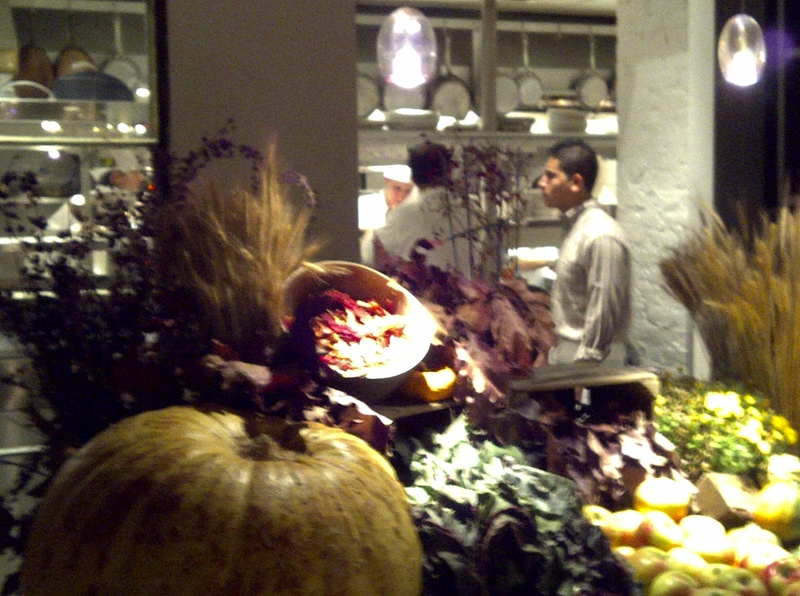 It is a very, very trendy, locally sourced farm-to-table place, loud and crammed even by NYC standards. 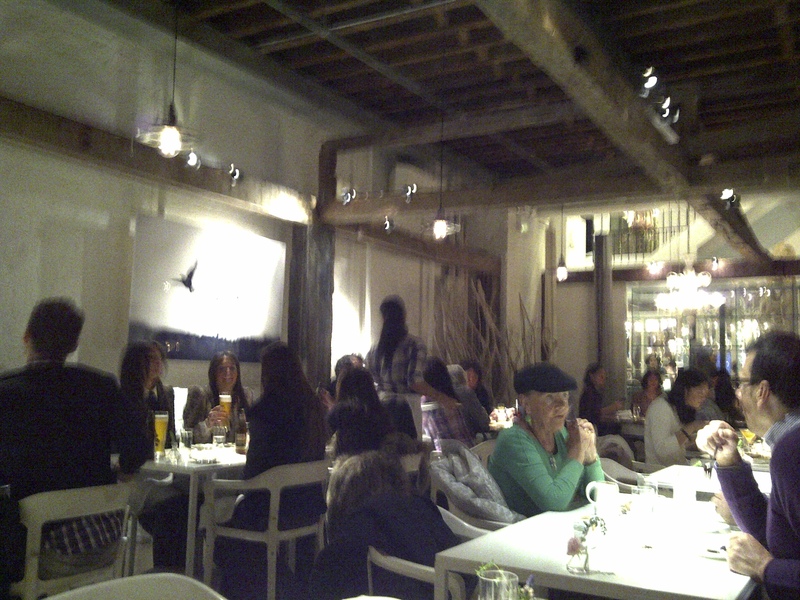 Actually, the space itself was huge and beautifully designed (in a universally likable “shabby chic” style), but the individual tables (and guests) were almost on top of one another. I really did want to love it, as it came highly recommended by somebody I trust implicitly as far as food is concerned. However, I liked it but did not love it for a few reasons. 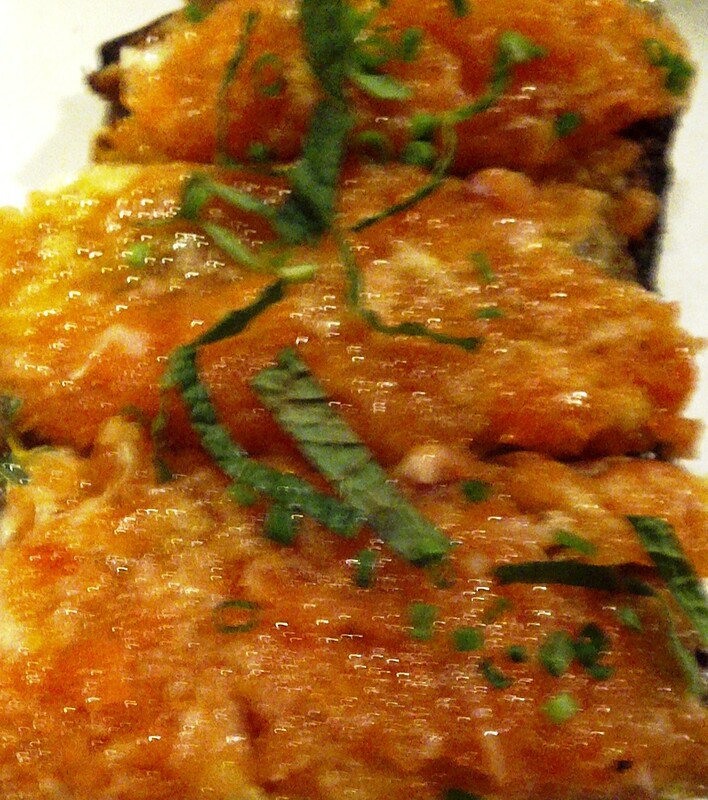 First, I always have to be excited about the menu, and the only items I was excited about were the salmon tartar toast special (with the fantastic addition of zest! ), and the lentil soup with celery root, parmesan and herbs. 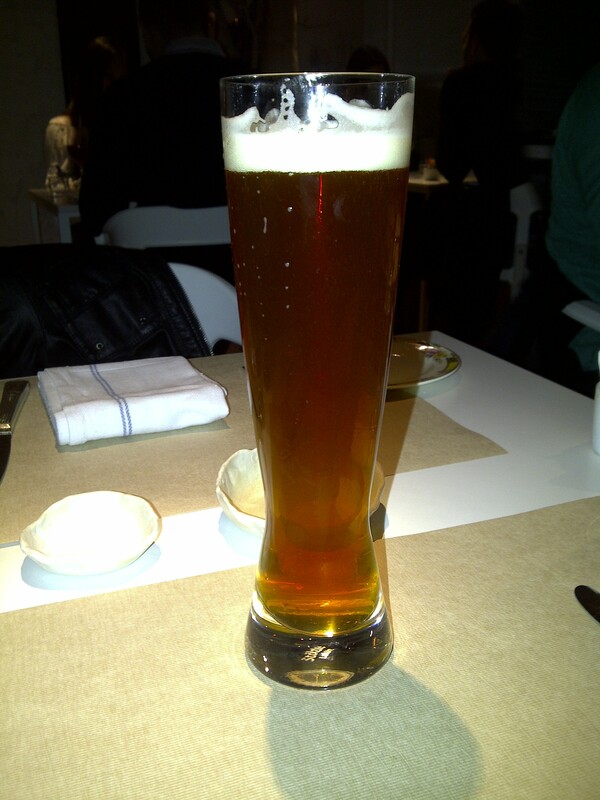 The wine list by the glass was unoriginal and way overpriced, so we opted for some tasty beers (Rare Vos, a Belgian-style ale available on tap (see photo below) and Fire Island Red Wagon IPA (bottle). The bottom line is that everything was solid, but it did not blow me away. These days, being locally sourced is almost an expectation, so that, to me, cannot really be a selling point. It was a difficult reservation, perhaps, not quite worth the effort. As a former food service professional, I have a huge appreciation for the timing and precision of service; and I was immediately impressed by Locanda’s perfectly run kitchen, and the server’s focus and sensitivity. It is a much lower-key place with a nice neighborhood feel, and I felt right at home. I was pleased that it was not too full of itself despite the superior food quality. Add to that a fun by-the-glass wine selection, along with many other exciting options on the menu, and I was utterly satisfied. I cannot wait to eat there again! No pictures, though, as the morning after Nocturne, I could not hold my camera steady enough to produce anything worthwhile. The point of the exercise was not the Jean-Georges Vongerichten/Andrew Carmellini showdown, but simply trying to understand what it is that I value and look for in a meal (not trendiness but understated quiet confidence). $11 buys you two slices (pieces) of Roman-style pizza (we really enjoyed Pizza Cavolfiore (cauliflower and gruyere) and Pizza Pomodoro (tomato; the name on the menu really should have been “pizza rossa”), a Sicilian-style ricotta and orange peel pastry, and Moroccan mint tea. This entry was posted in food & wine, NYC restaurants, Roman cuisine and tagged ABC Kitchen, brunch, come due maiali, Grandaisy bakery, Locanda Verde by Come Due Maiali. Bookmark the permalink. On the bright side, I think this artificial constraint of not being able to constantly go to NYC has actually boosted your creativity with food. You see, you have real cooking skills, unlike me! I am so glad you enjoyed it! I have a great time writing it!